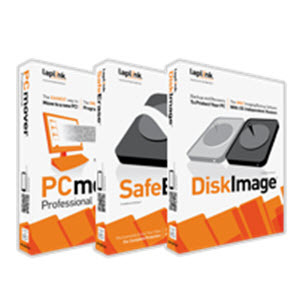 Together, PCmover Professional®, DiskImage™, and SafeErase™ is the perfect bundled software set for buying and setting up a new PC. You will be able to easily migrate to your new computer using PCmover Professional; backup your old PC and your new PC’s data with a perfect image of all of your applications, files and settings; and with SafeErase, you’ll be able to wipe clean your old PC (and new!) of all sensitive data with the strongest tools. This bundle is valued at $130 — but is only $79.95 right now! 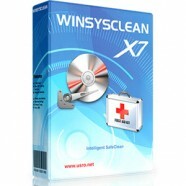 Categories: Backup & Recovery, System Utilities. Tag: Laplink Software. 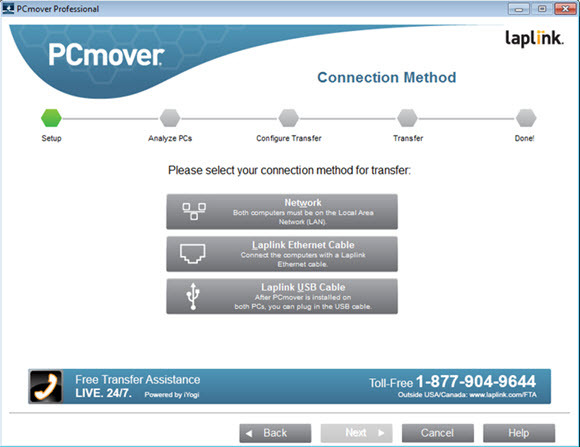 Easy to use: Install PCmover on both of your computers and follow the simple setup to start transferring everything you select to your new PC or upgraded operating system. Free Transfer Assistance: Quickly set up your new PC with the help of a certified PC migration expert, over the phone or remotely. Free, 24 hours a day, 7 days a week. Keep Everything: Automatically transfer the programs, files, and settings you choose to your new PC. Programs are installed and ready to use right away. Set it and forget it: You start the transfer and walk away. PCmover does the rest! Deleted data can often be recovered. Even when hard disks are formatted, anyone can use simple data recovery software and obtain personal confidential data – unless you use Laplink SafeErase! Protect yourself and your data with SafeErase, the fastest and most secure way to permanently delete sensitive information. SafeErase utilizes a series of government recommended deletion methods to completely wipe personal data from your hard drive so that it is unrecoverable. Don’t just delete it, Annihilate it! Use daily on ordinary data deletions or wipe your entire PC before recycling or selling an old PC for complete privacy protection. With SafeErase, you can be sure financial information, email archives, photos and Internet history are deleted forever. Complete Privacy Protection: Securely deletes Internet browser data, files, partitions, and entire hard drives. Advanced Technology: Employs six methods for secure elimination of your confidential data. Fast Data Wipe: Fastest deletion method overwrites with zeroes for the fastest deletion times. Customized Deletion: Choose from pre-defined and individual deletion profiles and receive detailed reports on the deletion process. 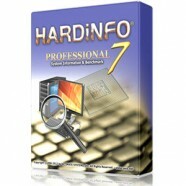 Protect your PC with a perfect copy (image) of all your applications, files and settings. Quickly and easily restore your PC and recover damaged or lost files due to corrupted systems, viruses, hackers or other malware. DiskImage even restores to a PC with different hardware using the Hardware Independent Restore feature. You aren’t just protecting data; you’re securing your entire PC. When you restore an image, the old PC’s setup is restored along with the data, whether it is onto the same PC or onto another one. DiskImage is the perfect solution to protect against unforeseen data loss. Hardware Independent: Restore your entire image to any PC regardless of hardware. Advanced Burning: Store your image on CDs, DVDs, Blu-ray Discs® or any other external media! Automated Imaging: Use the built-in scheduler to automatically create full or incremental images of your PC, even while it’s in use. Boot CD: Easily repair and restore your Windows system, applications and files directly from the boot CD*, even if your operating system won’t start.